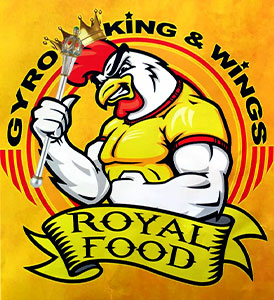 Online ordering menu for Gyro King & Wings. We are here to serve you the best American, Mediterranean, and Greek food! Gryos, pizzas, falafel, and burgers -- we've got it all! Try our Chicken Shawarma Bowl or our Mixed Meat Gyro, and finish your meal off with our Funnel Fries! —————————————————————You can find us at the corner of Airport Hwy and Brookview Dr in the Fourty Four Plaza Shopping Center. Order online for carry-out or delivery today!